Our way of saying Thank You, for your Service. All Active Duty or Retired Military personal, from all branches of the Armed Forces can benefit from this special. 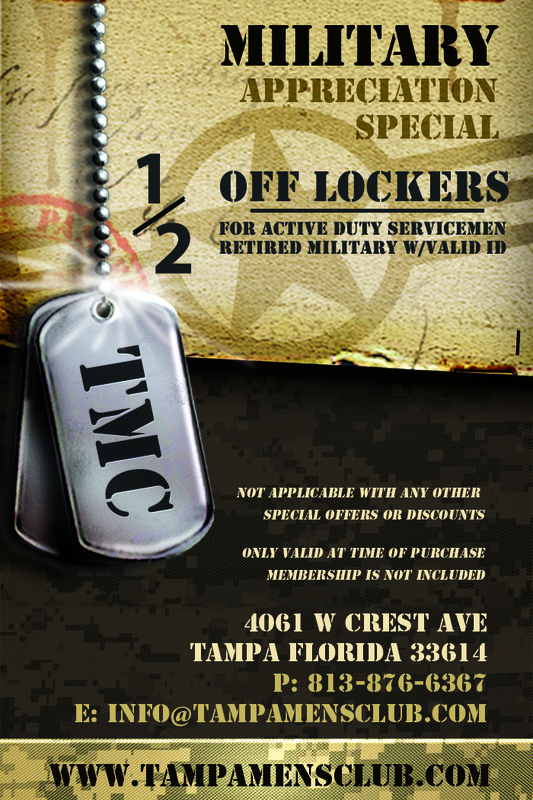 Give us your valid Active Duty/Retired Military ID at the front desk, and you will receive 1/2 OFF all Lockers..
Not Applicable with any other Special Offers, or Discounts. Membership is not included.